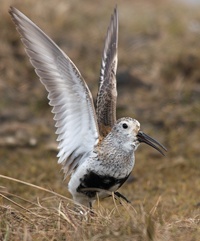 6 days ago April 16, 2019 in Birds and Birding, Commentary, Natural History. 7 days ago April 15, 2019 in Commentary, Geology, Idaho. 1 week ago April 12, 2019 in Alaskana, Commentary, Law. 2 weeks ago April 11, 2019 in Commentary, Obituary, Science. 2 weeks ago April 10, 2019 in Alaskana, Climate Follies, Commentary, Idaho.